Seattle have also made her the de facto backup point guard this season, which hasn’t always gone that well. She can handle the ball and initiate an offense, but she’s much more comfortable looking for her own shot than creating for teammates. 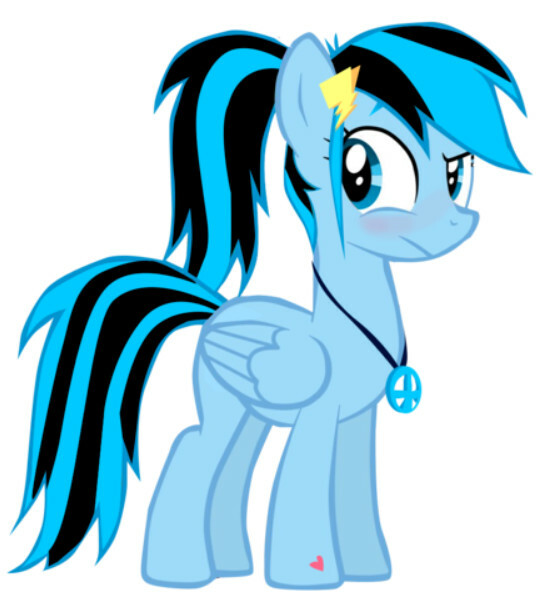 But as a learning tool it’s a smart move, adding to her base of skills and in-game knowledge. Ultimately they’ll need a successor for Sue Bird – I doubt Loyd is ever going to slide over and become the primary ballhandler full-time – but the backup role is something Loyd can do when necessary. The Storm are still a piece or two – and a year or two – away from where they want to be, but Loyd and Stewart is a hell of a base to start from. Yes, I know, this doesn’t seem like something that really needs addressing. The Minnesota Lynx are the closest thing we’ve had to a dynasty in recent WNBA years, and I’m merely one of the many to wax lyrical about the basketball they can produce. But it occurred to me this week that we really don’t give enough credit to Cheryl Reeve and her team – Jim Petersen and Shelley Patterson have been her assistants for years now – for the defense that they’ve built in Minnesota. 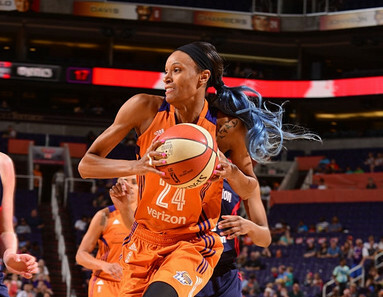 It wasn’t until midway through last season that they acquired Sylvia Fowles, a recognised defensive force in the paint. Prior to that, how many highly-regarded defenders have been on this squad? Rebekkah Brunson, to people who pay attention. Maybe Taj McWilliams-Franklin, although she was always undersized for the center spot Minnesota asked her to play. Backup guards like Monica Wright and Candice Wiggins, when they were healthy, had reputations for their energy and annoyance on defense. That’s about it. We’re not talking a murderer’s row here on the defensive end. The perimeter’s been built around three players who certainly weren’t known for their defense before Reeve got her hands on them. Lindsay Whalen’s feet aren’t quick. Back in the day, Seimone Augustus saw defensive possessions as something to wait through until she could shoot again. Maya Moore struggled with dumb fouls and poor defensive decisions when she first arrived in the pros. And Reeve moulded them into part of consistently one of the best defenses in the WNBA. First, importantly, she got them all to buy in. There are plenty of superstars across both genders and many sports who love to score but don’t particularly want to exert themselves to stop the other guys. Reeve changed Augustus’s approach, and coaxed things out of Moore that Geno Auriemma never managed at UConn. Then she put simple but effective rules in place and drilled her team into knowing where they needed to be and how to implement them. All this stuff sounds so simple, but take a look around the league and see how many other teams are consistently screwing it up. Going from the early game between Minnesota and New York (coached by Reeve’s old mentor, Bill Laimbeer) to the later game between Connecticut and Phoenix on Tuesday night was striking. Two sides playing cohesive team defense, then two who barely looked like they’d met. And before Fowles arrived, it’s not like the Lynx had a rim protector. McWilliams-Franklin was always smart and solid, but she wasn’t scaring anyone away from the paint or sending many shots into the third row. Brunson’s mobile and athletic but a great system defender and help-and-recover player rather than an interior deterrent. Janel McCarville, similar to Taj, knows where she has to be and can use her body well, but is undersized for a 5. But they’ve always got the job done. The only time this defense has been statistically outside the top-four in the league since Moore arrived was 2014, when everyone seemed to be hurt at some point. Even then they only fell to sixth. So while you’re marvelling at the Lynx scoring ability, or complaining about how many Olympians they have and how unfair that is, take a moment to notice how cohesive this group is on the defensive end, and how they all take collective responsibility for stopping their opponents. Then be disappointed that your team didn’t hire Cheryl Reeve before Glen Taylor got hold of her. When you’ve only got 11 or 12 players to work with, you have to try to cover your bases. Most teams want five posts – two for each spot, one extra for insurance against injuries and foul trouble, or specific matchups. Then you usually need two point guards, someone you trust to run your team and a solid backup (although to some extent combo-guards are increasingly muddying that definition and requirement). That leaves, typically, four or five spots for the wings, your perimeter players who you don’t really want running your offense. But not everything always goes to plan. Connecticut is our prime example of things going wrong in this area this season. They threw a big restricted free agent offer sheet at Aneika Henry-Morello in the offseason, stealing her away from Atlanta. That added to Camille Little and Kelsey Bone, last year’s post starters, and the returning Chiney Ogwumike. Then Morgan Tuck dropped in their laps in the draft, and given both her skills and the Connecticut ties, they understandably took her at #3 in the draft. Then things got a little weird. They obviously decided that they loved George Washington product Jonquel Jones, and gave up both second-year point guard Chelsea Gray and next year’s first-round pick to jump in at #6 in the draft and add her to their young core. So they were left with six posts, none of whom were ever likely to be cut in training camp. Both Alyssa Thomas and Shekinna Stricklen are small forwards and little else at this level. Leaving them with four guards, sort of. Jasmine Thomas and Alex Bentley are established WNBA players, albeit Bentley’s been struggling for form so far this year. Rachel Banham is still working out how to adapt to the WNBA level and establishing what she can get away with now the opposing talent has taken a huge leap. Kelly Faris is mysteriously still in the league after three years of doing very little to warrant it, and being a ‘defensive player’ who isn’t actually that great a defender. This leaves Curt Miller short of options in the backcourt, and unsure about what the hell to do with all his options in the frontcourt. Just one of the many elements that’s made everything a bit of a mess for the Sun to start the season. Ideally they could trade a post for a guard, with presumably Henry-Morello the one they’d like to move, but when you look through the teams league-wide it’s hard to find many who’d want her (and the contract they had to cough up to sign her). It’s even harder to find anyone who might be willing to send a halfway-useful guard back the other way. On the bright side in Indiana this week, the Fever saw point guard Briann January return to the court, taking the next step in her return from offseason microfracture surgery on her knee. Sadly, they also lost Maggie Lucas to a torn ACL. This leaves them in a slightly tricky situation, and becomes another roster balance question. They’ve now got three point guards on the roster, as they kept both Erica Wheeler and Brene Moseley to hold down the fort while they waited for January. There are five posts, none of whom are likely to be going anywhere (although Natalie Achonwa probably isn’t happy about her lack of playing time so far this year). That leaves just three players to cover all the wing minutes – Marissa Coleman, Shenise Johnson (who was out for much of the last week with a concussion), and rookie guard Tiffany Mitchell. It’s not something they absolutely have to ‘fix’. January can defend shooting guards, so could play alongside one of the other points. Tamika Catchings could slide back outside to her old small forward spot more often. But do they want to lean that heavily on Mitchell, and make the potential of her hitting the ‘rookie wall’ more likely? Do they need Moseley any more now January’s back, especially as Moseley’s looked pretty shaky in several of their games so far? And on the other side, is there anyone out there on the street that would actually play minutes and help them on the wing? They’re also riding close to the salary cap, which is why cutting Lucas (who they’d still be required to pay) to open a roster spot isn’t really an option. It also means that assuming Moseley was the cut, they could only replace her with relatively inexperienced (and therefore equally cheap) options. For now, they’ll probably try to ride it out with what they’ve got, especially while they wait to see if January’s knee holds up. But one more injury could definitely lead to a move. If you’ve watched a Phoenix Mercury home game this season, you’ve seen their ‘Out4Redemption’ trailer that’s trying to sell you tickets. Probably several times. The Mercury publicity team don’t have much of a sense for tone, do they? Trying to build an ‘us against them’ mentality is a tried and tested formula for teams through the ages, but the whole thing feels whiny. Yes, there was a bad call in the Western Conference Finals last year. But y’know what? You lost to a better team. And you’ve got one of the most loaded rosters in the league, who’ve virtually all won rings. What exactly are you redeeming? And just when you thought we’d finally seen the last of all their ‘Glory… [Whatever]’ campaigns, it even makes an appearance in this year’s advert. 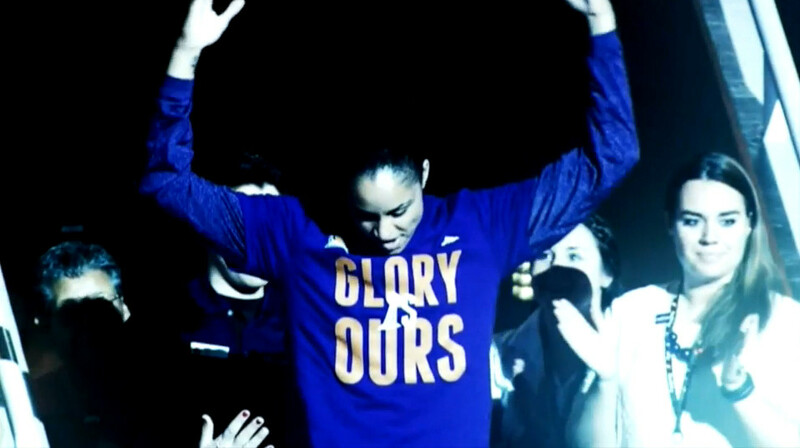 It really shouldn’t take a brain surgeon to realise that Glory is a word that the Mercury don’t want anywhere near their advertising any more (it took them long enough to realise last season, when Brittney Griner and Glory Johnson were making regular appearances on TMZ). How the hell did Isabelle Harrison drop to #12 in last year’s draft? Okay, she was injured, but the player we’re seeing for the Mercury was worth waiting a year for ahead of various players taken in front of her. One of very few bright spots for Phoenix so far this season. Through six games, New York are holding opponents to 36% shooting from the field. That’s ridiculous (and surely unsustainable). Perhaps more extraordinary is that they somehow don’t have the best statistical defense in the league, a position held by the Los Angeles Sparks. All these numbers will flatten out once more games have been played, but small sample size figures can be entertaining. Connecticut are shooting .500 from inside five feet (in the most recent stats available). That’s bad. The league average is .577, and the only other team anywhere close to the Sun is New York. And it’s particularly bad because Connecticut are also shooting .292 from three-point range. Which is also bad. When you can’t shoot inside, and you can’t shoot outside, you’re probably going to have trouble winning games. I mean, I’m not the only one that sees it, right? Vanderbilt, for your sake, I hope she’s a better coach/recruiter than she is a commentator. And I’ll leave it at that, because my mum taught me not to be too mean. I think we’re going to make this a thing. Item 12 every week is just going to be a fun play from around the WNBA. On this occasion, one of my favourite quirky coaching habits. Unless you’re watching ridiculously closely, there aren’t that many plays that stand out from team-to-team. Most coaches run variations on the same stuff. It’s one of the reasons I used to love it when Cheryl Reeve played one possession of zone defense at the start of games for no particular reason – it was random, and weird, and specific to Reeve’s Lynx teams. So here we have what I like to call the Triple-Stack play, run virtually every game by Pokey Chatman’s Chicago Sky. All three frontcourt players line up along the free throw line to set a row of picks for the ballhandler. I don’t think I’ve ever seen another WNBA team run it, but Pokey does it all the time. Sometimes the defense gets confused when the three screeners break off to other spots around the floor, or they lose the ballhandler going around all the picks. More often than not, the defender just coasts under the three-player wall and everyone carries on. But it’s different! Fun! See you next week. This entry was posted in wnba and tagged Connecticut Sun, Indiana Fever, Minnesota Lynx, Phoenix Mercury, Seattle Storm, wnba.